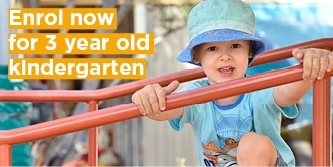 At The Merrell Kindergarten, our caring and professional educators provide a safe and supportive environment that's sensitive to each child's interests and developmental abilities. We embrace our community and welcome families into our program to strengthen and enrich each child's learning experience. We value children as individuals, capable learners, inquisitive thinkers and members of our community who are embarking upon their learning journey. We keep in mind that children learn and express their learning in many different ways. As a result, our educators use a range of different learning experiences to help each child reach their potential. It could be construction, finger-painting or using musical instruments to promote finger dexterity and language enrichment. It might be role-playing, dramatic play and group projects to develop social skills such as cooperation, sharing and awareness. Whatever the learning experience, our programs are the result of careful planning and resourcing. They are also flexible and responsive to children’s ideas and interests. 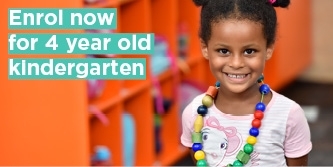 The Merrell Kindergarten has been rated as Exceeding National Quality Standard. Information about the National Quality Standard. We recognise the importance of active play and provide plenty of experiences that encourage fine and gross motor development and enable children to be physically active in their play. We also place a strong emphasis on environmental awareness and care. We encourage children to interact with and observe their natural surroundings and explore and appreciate the natural world. Sustainability and conservation are important to us, and we believe that this should start at a young age.